Reading Hockey Club Success As Golden Girls of Olympics Pick Up Gold Medals at Rio Olympics and hope their success will inspire the next generation of Hockey Players. Team GB have had their most successful Olympics in more than 100 years. 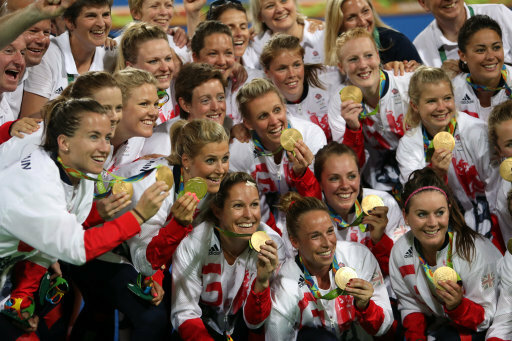 Celebrations are still taking place for the women's hockey team who are still getting used to the Olympic Champions. Other members of the 31 in the Squad are Susie Gilbert Reading and Zoe Shipperley from Buckingham who is also a coach at St. Edwards School in Oxford. They hope their success will inspire the next generation of Hockey Players.